OR: A lot of people like to draw comparisons between Mob Psycho and One Punch Man. How do you think Mob Psycho differentiates itself from it? CN: I think that the characters in Mob Psycho 100 are a little bit in more in-depth and interesting and had a little bit better of an arc than the ones in One Punch Man. I also think the fact that (Mob Psycho) is based directly on ONE’s art and kind of fine tuned it into a very weird psychedelic kind of art style makes it stand out. KM: Chris just covered all of the points that I would have touched on too. One Punch is brilliant for what it is and Mob kind of takes that brilliance and evolves on it just a little bit. It takes it a step further because it’s got that same goofy fun humor to it but there is also some great character depth and development. The art style is so much more ‘raw’ in Mob which I love. OR: So what kind of difficulties did you experience bringing a show like Mob Psycho over to an English speaking Audience? CN: Not much. Because honestly we had a really good experience with it. It was a perfect marriage of Matt Mcfarlane doing the script since he’s done Full Metal Alchemist and, Chris Cason directing and then Bang Zoom! and Crunchyroll were really agreeing with what we could do with it. KM: Yeah so many anime will have a client in the room for every recording session making sure that we are staying true to their original intent and I totally respect that and it makes perfect sense for a lot of projects but for this show they gave us the freedom. They just said: “We trust you to do what works for the show and I think Chris Cason directing and Mike writing they really lived up to that. CN: It’s funny because Crunchyroll specifically wanted the One Punch Man staff in that they wanted Cason directing and Mike writing and also a few voice actors returning as well. It was a really enjoyable experience. KM: It was a true simuldub experience. We were recording stuff for an episode that would come out the following week. KM: That’s probably a better question for Chris Cason, but I do know there was some time constraint issues especially towards that final arc where we were introducing all of those “claw” characters. Keeping that in mind, the show turned out very well. OR: What do you think is the biggest strength of Mob Psycho? CN: I think It knows what it’s saying. The dynamic between Mob and Reigen and the morals that he is trying to impress on him and the morals of the show. Because I feel like in One Punch, it wasn’t as clear what was being said with Saitama and I didn’t take away anything from it. 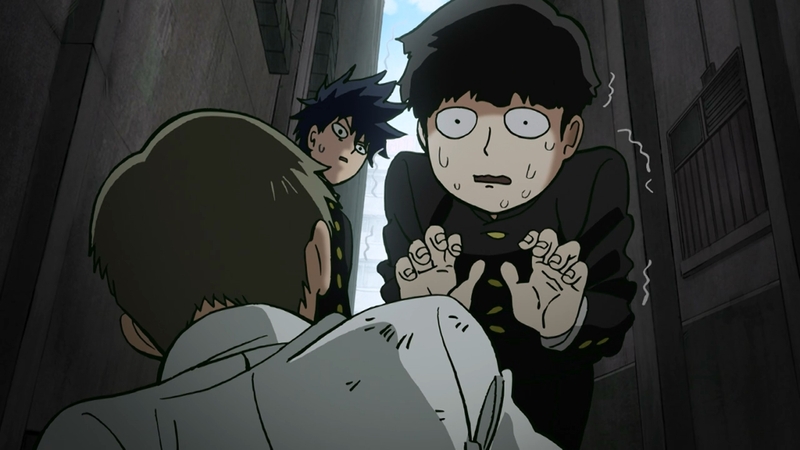 But with Mob, when I binged the whole show in Japanese – we both watched the whole show before recording it for the dub. I immediately said : “I get this”. KM: We know what the moral of the story is and that helps. 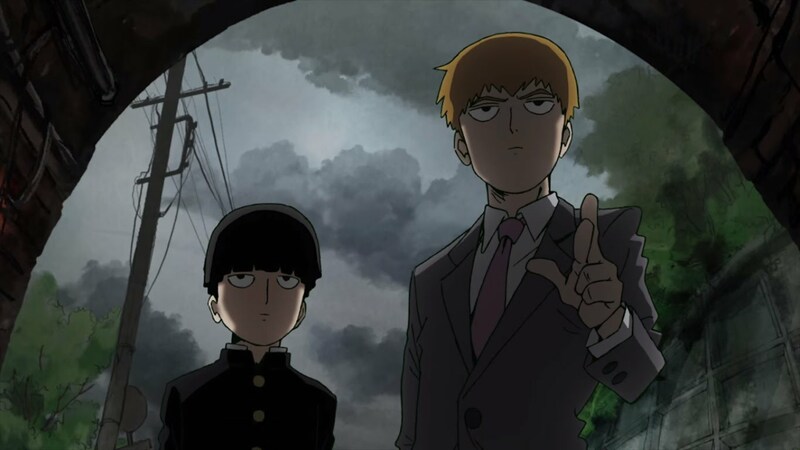 OR: To go more in depth with that: Mob Psycho 100′s lead is known to be very unconventional in comparison to most protagonists in manga and anime so being an All-powerful Esper who tries to become a better person through alternate means, do you think that this aspect of the series is something that drew a lot of people to it? KM: Absolutely. 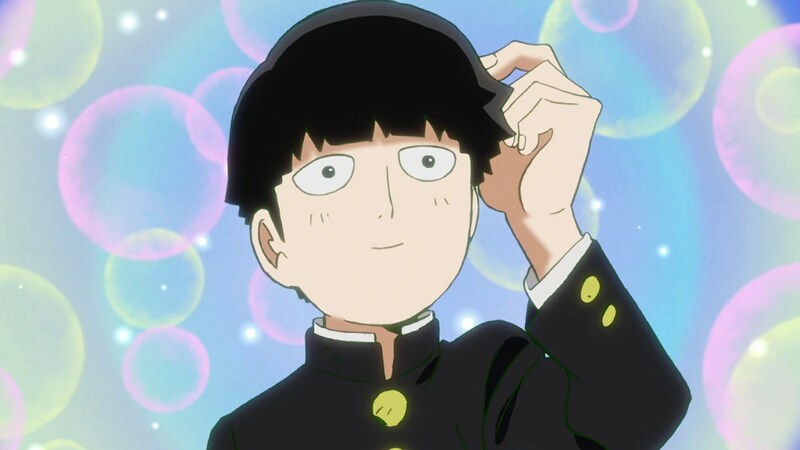 I think Mob is a character that a lot of people can relate to. He’s an innocent little kid. And everyone remembers their coming of age experience and Mob’s story is absolute a coming of age story. He is experiencing life as any child would. CN: Which is a contrast to Reigen who I don’t want to say jaded but he’s impure. He’s a con artist and egotist and a manipulator. But I think there is this innocence or somewhat positive intention in the things he does. One of my friends who watched the show pointed out that even though he is conning these people he is still doing the right thing. KM: I think Reigen for all his flaws, he gives people what they need even if it isn’t necessarily what they want. OR: Do you have any final comments for people who might be interested in Mob Psycho of people who are fans of the series already? KM: Highly recommend you check it out. It’s on Funimation Now. Pick up a copy of the DVD Blu Ray. CN: If you have not seen the show at all, it is all subbed on Crunchyroll. If you become a fan, check out the dub. It’s gotten pretty good feedback among the fans.